What's new in the field of sustainable textiles? In today's newsletter "Sustainability & Textiles", the Texpertise Network reports, inter alia, on new eco fashion stores, textile innovations and current research findings. 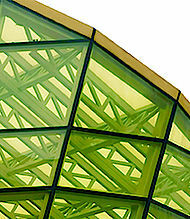 Jana Kern's exclusive article, this time, is all about Green Buildings. With its 40 international events, the Texpertise Network is the world's largest network of trade-fair and sector experts for textiles and clothing. The market for environmentally and socially acceptable textiles is growing. Texpertise Network keeps you up to speed! Save energy, reduce costs, increase appeal. The advantages of sustainable construction are evident. The study "World Green Building Trends" predicts a considerable rise in 'green' building projects until 2015. The retail fashion industry is making its move and has set itself some ambitious targets. An overview by Jana Kern. Innovative textiles: it's like trying to get milk from algae! The German Fraunhofer Institute for Environmental, Safety, and Energy Technology (UMSICHT) is researching into green algae. 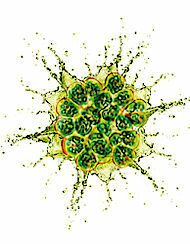 In their new research project SPLASH, they are trying to 'milk' algae. They then want to try to make plastics using the oil obtained from the algae in this way. The new man-made materials could also be used to manufacture textile fibres. The signs at Göttin des Glücks all point to growth. Pioneers from Vienna, Göttin des Glücks, are now opening their own fifth store in Innsbruck and will be showcasing a whole new shop concept at the same time. The sales area in Graz is to be doubled – and the same in Vienna, where the label is moving to the fashionable 7th District. 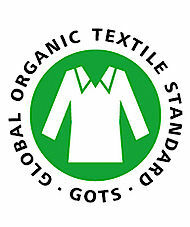 3015 companies in 62 countries have been certified according to the Global Organic Textile Standard. Most of these textile-manufacturing plants are in India, Turkey and China. The focal-point subject of sustainability will be discussed intensively during the four days of Texprocess Forum in Frankfurt. From 10 to 13 June 2013, recognised experts will speak at the Leading International Trade Fair for Processing Textile and Flexible Materials. 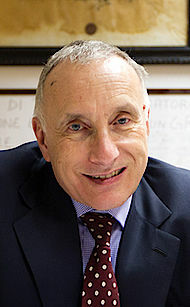 Silvio Albini is one of the Italian entrepreneurs in the textile sector who has succeeded in communicating his passion for the business and, in particular, a clear vision for his country’s industry and his group. Over the last 20 years, the Albini Group – has grown from one to eight production sites despite a significant trend in the other direction. Silvio Albini’s mission: “To make the world’s finest shirt fabrics”. To this end, he relies on excellence and innovation as the key elements in all strategic business decisions. "Upcycling is a niche in the niche"
Texpertise Network asks eco-fashion insider, Orsola de Castro, about current market developments. 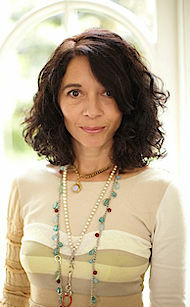 Orsola de Castro founded her British upcycling label 'From Somewhere' in 1997 and is thus one of the ground-breaking pioneers. She is also a co-founder of the trade-fair platform Estethica. She will be the Special Guest on the podium at the Create Green Breakfast session of the Ethical Fashion Show in Berlin next July. In a short interview she speaks about upcycling, young successful designers, new projects and the challenges of the market. GfK Study: 3.7% of textiles on the market overall carry an eco-label. 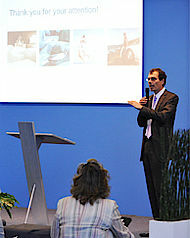 The demand for textiles bearing an eco-label in Germany remains stable. 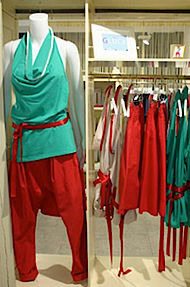 Textiles with an eco-label enjoy a 3.7 % share of sales in the market overall. 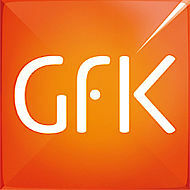 That is what emerges from a regular survey by the GfK of the total textile purchases of 17,000 consumers. There remains, nevertheless, a wide disparity between aspiration and reality, when it comes to consumer behaviour. 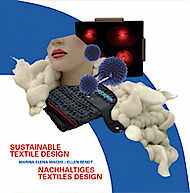 In this 192-page book, editors Prof Ellen Bendt and Prof Marina-Elena Wachs present innovative and durable design solutions and discuss them against the background of economic, ecological and socio-cultural aspects.